Former Wexford camogie manager JJ Doyle says it has been "desperate to see all the headlines" which have followed on from the county's 45-point defeat to Galway in the Littlewoods Ireland Camogie National League Division 1. Wexford could only field 13 players for the game which ended 9-23 to 1-02 to the Tribeswomen. The side conceded a walkover to All-Ireland champions Cork in the previous weekend's Division 1 tie, while former manager Martin Carey previously stepped down from the role ahead of the 2019 campaign. County chairperson Jacinta Roche told RTÉ Sport's Evanne Ní Chuilinn that she hopes to have a new manager in place within the next two weeks, and added that the WGPA have offered to help out with mediation. Doyle oversaw Wexford's famous three-in-a-row All-Ireland victories between 2010 and 2012, and he was disappointed to see the negativity that has surrounded the county of late. "I've had a great time with camogie and it's desperate to see all the headlines about it," he told RTÉ Sport. "We won All-Irelands and there was never as much talked about it. It's sad to see it and unfortunately that seems to be the way with ladies sports. "There's a lot more talk about it when there's a negative story than there ever is when it's positive." 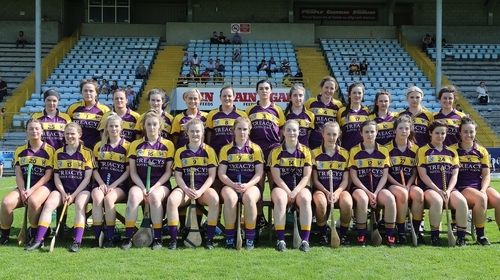 Wexford endured a difficult season in 2018 as they failed to reach the knockout stages of the senior camogie championship while their intermediate squad was withdrawn from the All-Ireland championship after several players stepped away. Following their most recent All-Ireland triumph in 2012, the model county reached an All-Ireland semi-final in 2016 before they were defeated by Dublin in the 2017 All-Ireland quarter-final. The model county collected four senior camogie All-Ireland titles between 2007 and 2012 and the St Martin's club will contest this year's senior All-Ireland club final against Derry's Slaughtneil. Doyle believes that the county started to go into decline between the 2014 and 2015 seasons, and he also suspects that the expectation of more All-Ireland glory was perhaps not matched by the effort. "They were so used to getting to All-Ireland finals and when they weren't getting to them it was a complete and utter failure," added Doyle, who is the St Martin's boss. "There were a lot of young players coming through and they needed to be progressed. If they had done that back in 2014 or 2015, they'd probably have a team now but I think they kind of expected it to keep going the way it was. "It just didn't happen and it wasn't going to happen because you have to work at it and not get complacent. I think maybe there was a bit of complacency. And it just really went downhill last year and it's kind of coming to a head now where girls just got fed up with it. "You'd look at Cork and Kilkenny, they're able to reinvent their team by bringing in three or four players every year. It's something that Wexford need to be able to do. Maybe it was a lack of leadership over the last couple of years but there's no point looking back and blaming. They need to sweep everything and start with a clean slate." Four-time All-Ireland winner Ursula Jacob has also expressed her disappointment at Wexford camogie's current situation. The Oulart-The Ballagh star, who retired from the inter-county game in 2016, said it was difficult to see her county struggle to compete after enjoying so many great days in the Wexford colours. "After playing for 15 or 16 years and then to see the last couple of weeks, it's very hard to watch and very sad. It needs immediate action and they need to get a new manager in place," she said. "I really feel for the girls that were playing yesterday, some really young girls in their late teens and early 20's. The amount of stress on them the last couple of weeks as well, they're seeing this all in the paper and on social media. They're only doing their best to go out and play. "It's a massive honour to play for the county and you see the younger girls and it's difficult on them. You're going up and playing Galway, who are in the top two or three teams in Ireland. That defeat yesterday and even coming home from a long journey to Galway must have been extremely demoralising. The four-time All-Star added: "There's massive talent in Wexford and the club scene is probably the strongest it's been for a few years. There's five senior A teams and there's only a couple of points between the teams. St Martin's are in the club All-Ireland final."